The sun is shining bright and radiating its energy down on Portland today. It feels so good. I think I feel more alive when the sun is out and the clouds are scarce. I wonder why that is; is it in our nature to feel happier when that fiery ball is above us in the sky? Maybe it’s simply our bodies yearning for vitamin D? It almost feels as though some unseen power or magic is being transmitted through the suns rays; when I have the time to sit outside in the sun with my cup of morning coffee, or fit a sun-filled walk or run into my afternoon, I always return back indoors feeling a little changed. It’s only a little change, but it’s a positive one, and, in that sense, it’s monumental. While this city (Portland, Oregon) is amazing, the weather is where it is lacking; a grey blanket of clouds is almost perpetually in the sky, and drizzle showers are always looming on the horizon, but the closer it inches to Summer, the more the sun reveals itself, and the bees, and flowers, follow suit (and so do the people, too). 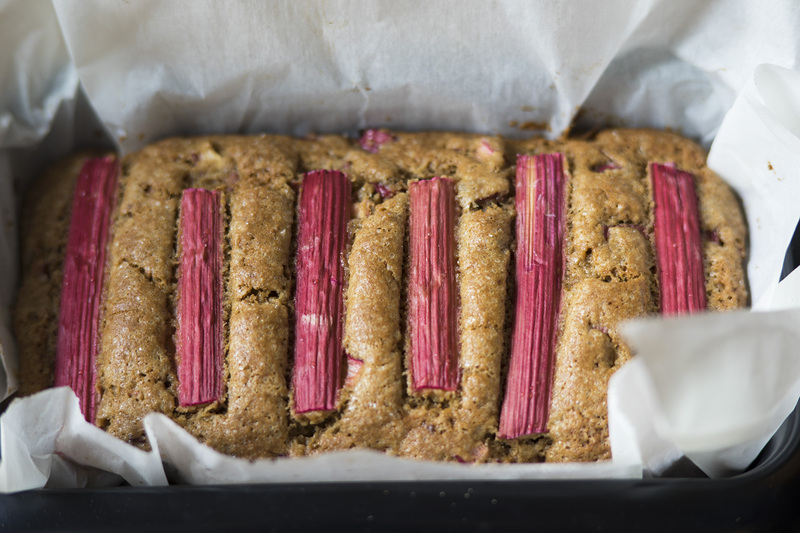 This rhubarb loaf is one way I celebrate the beaming new weather. 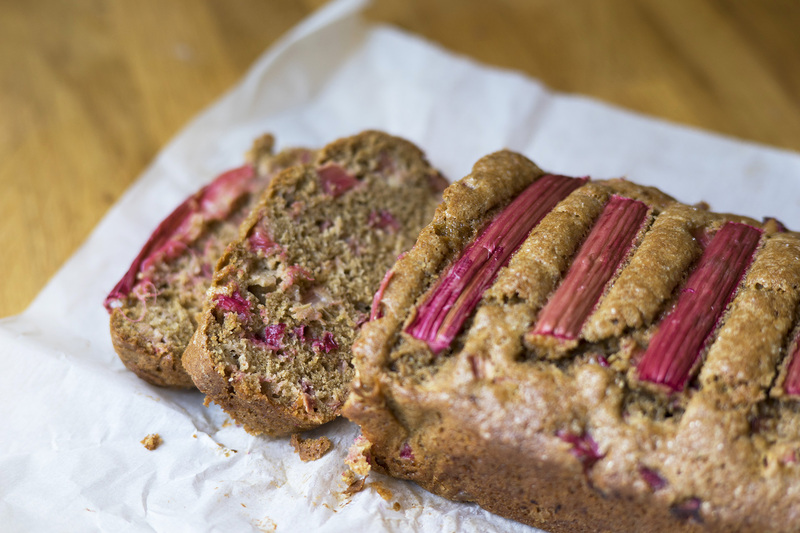 I brought it along on a hike up to a waterfall and couldn’t have been happier that I did; maybe I’m a little too food-oriented, but I think anticipating eating a slice of this sweet rhubarb bread propelled me up the mountain more than my own two feet did. 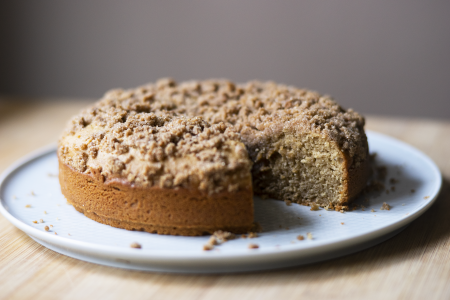 Perhaps you need some sweet energy because the sun is hiding in your part of the world, or maybe you’re looking to celebrate the fact that the sun can in fact be seen in your sky today; either way, this loaf can be a converging place for both scenarios. 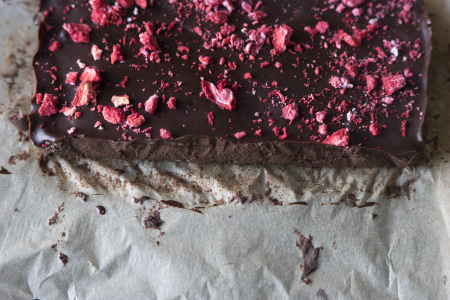 Make it to eat indoors, or make it to eat outdoors; make it because you need some excitement, or make it because you have excitement to expend. 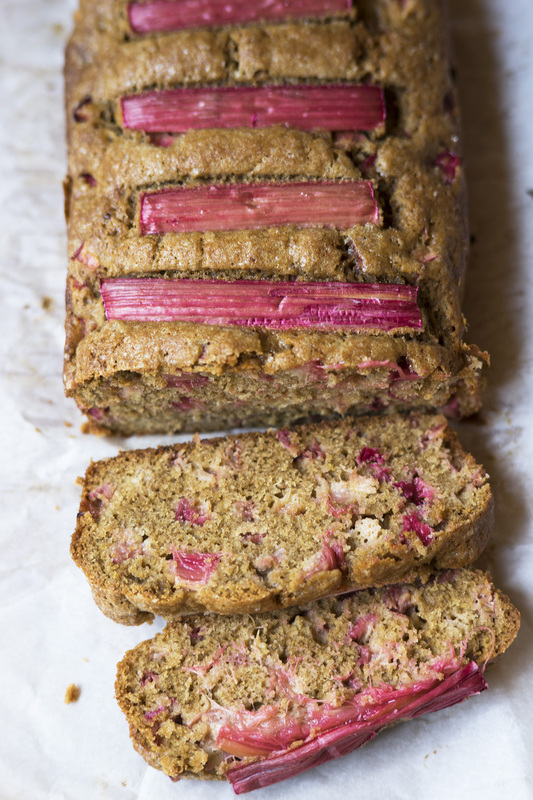 To me, this loaf comes close to conveying the same brightness as the sun; rhubarb is literally bright in color, sure, but it is also bright in flavor, and, when combined with sugar, lemon zest, and browned butter (along with a few other things), it leaves me beaming from the inside out, whether the sun is around or not. 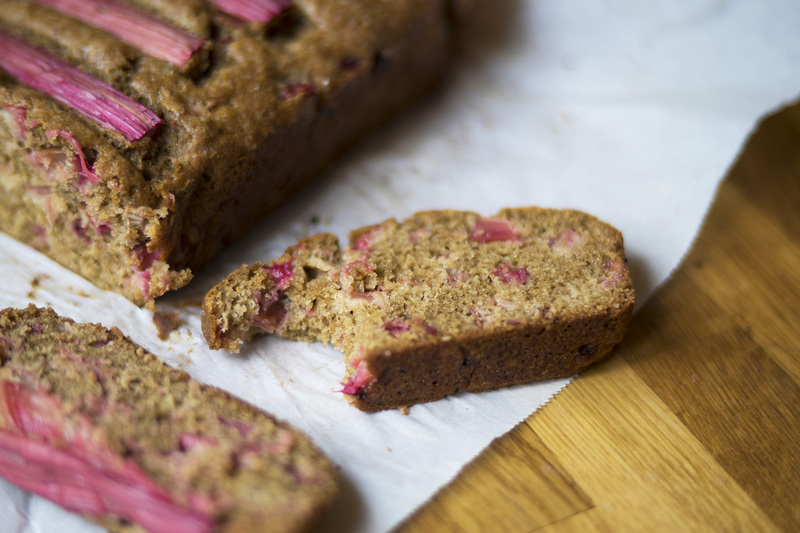 1 1/2 – 2 cups chopped rhubarb, sliced into roughly 1/4-inch-thick pieces (about 3-4 stalks, plus 1-2 more sliced stalks if opting for a decorative top! 1. 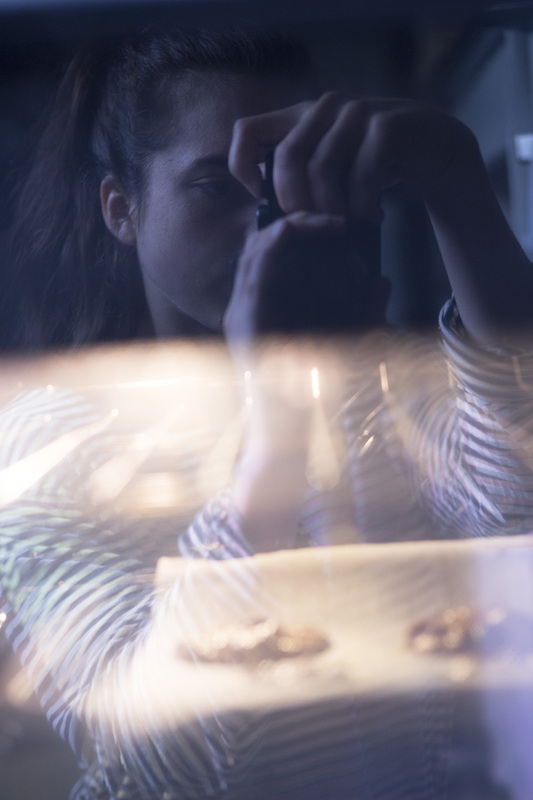 Preheat oven to 350 F. Melt the butter in a pan on medium heat, stirring frequently as it begins to bubble/foam. Once you can notice brown specks at the bottom of the pan and a noticeable change in hue from yellow to golden brown, take the pan off the heat and allow it to cool until no longer hot to the touch (your finger doesn’t retract when touching it). 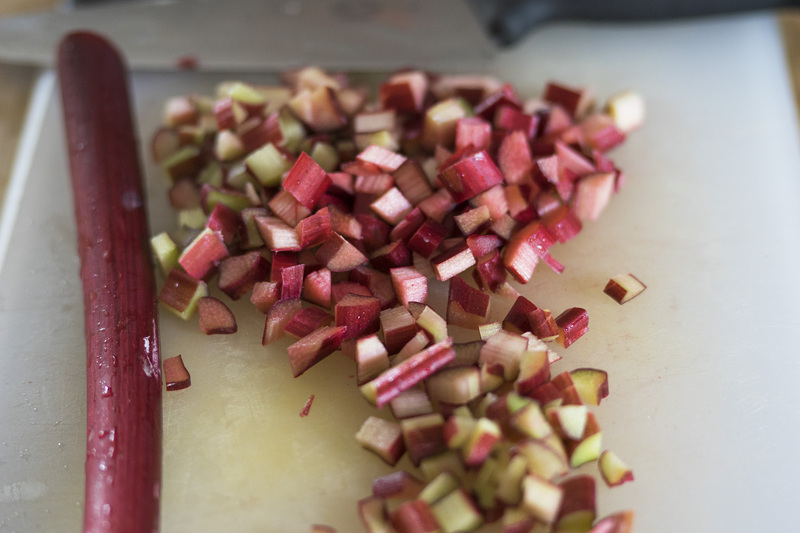 As the butter cools down, chop the rhubarb into roughly 1/4-inch-thick pieces and toss in a bowl with the lemon zest, vanilla extract, and both sugars. Set aside. 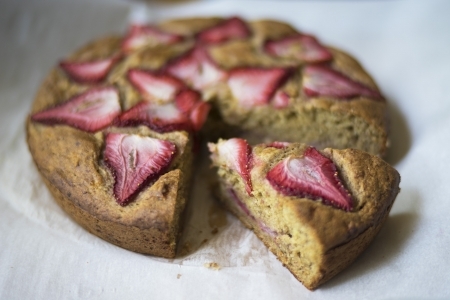 Note: recipe is loosely adapted from king arthur’s rhubarb quick bread recipe!